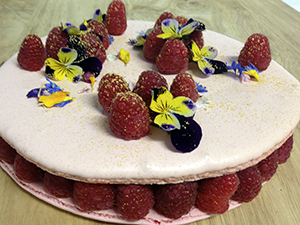 Beaucoup Bakery – Mother’s Day at Beaucoup brings together desserts and flowers with a special family-size macaron frais, decorated with edible flowers. It serves six people, costs $24 and must be ordered by Thursday, May 9. Call the bakery at 604-732-4222 or email hello@beaucoupbakery.com. Thierry – Chef Thierry and his team are creating unique delicacies featuring rhubarb. Mother’s Day items will be available from May 10th – 12th, while supplies last. To order call 604 608 6870 or order@thierrychocolates.com; 48 hours notice is required. Cadeaux Bakery – This year we are featuring two special creations for mom – a 6″ round lemon cake (frosted with vanilla butter cream) and a chocolate euphoria cake (smothered in Belgian chocolate mousse), each for $25 (serves 6). Make it personal with a written message in chocolate. Call or e-mail to order your cake and please have orders in by Friday May 10th at 2pm. omelettes and waffles to salads, fresh-baked bread and pastries to Ocean Wise seafood, a ham and roast beef carvery and desserts. Two seatings, 10:30AM and 1:30PM will be offered. 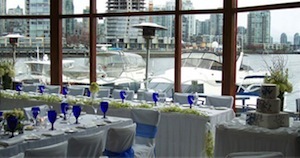 Call 604-685-7070 to reserve. Reflections at Rosewood Hotel – brunch menu available from 11:30 a.m. – 3:00 p.m. and includes a mimosa to start. $45 per person. Reservations are not required but recommended. View menu here.